Washburn is a top-notch university in an urban setting where students are becoming their best selves. Nestled in the heart of Topeka - the capital city with about 127 thousand residents - Washburn offers students from small towns a big-city feel, while providing students from major metropolitan areas a more manageable environment. Washburn's beautiful campus - on 160 acres - is easy to navigate with state-of-the art facilities. Our Tech campus on Huntoon offers industry-standard programs leading to in-demand jobs. And with our low student/faculty ratio and small classes, you're going to get to know your professors. Affordable education: Tuition is affordable and is charged per credit. What's more, If you're from Colorado, Missouri, Nebraska, Oklahoma or Texas, you'll pay the Kansas resident tuition. Student/faculty ratio: 22:1. And approximately 60 percent of undergraduate courses have fewer than 20 students. Courses taught by experienced faculty: 71 percent of Washburn’s full-time faculty members hold doctorates or the highest degree awarded in their discipline. No courses are taught by graduate teaching assistants. This means undergraduate students work directly with professors in courses, research and other projects. Academic options: More than 200 courses of study are offered. Nationally recognized: U.S. News and World Report has recognized Washburn for its low student debt upon graduation. Graduate with experience: More than 1,000 Washburn students participate in an internship each year. In several majors, an internship or other hands-on experience in a professional work environment is required for graduation. Public or private? Washburn is publicly funded, independently governed and state coordinated. In addition to funding from city and county taxes, Washburn receives financial support from the State of Kansas. 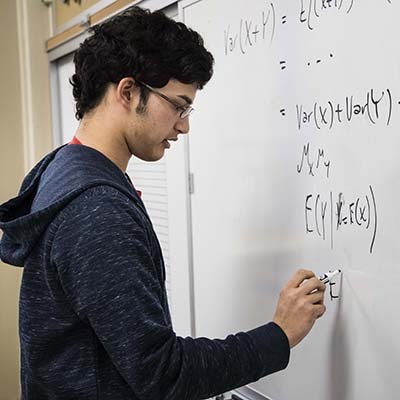 Academics are a priority: On-campus tutoring options, study centers and the First Year Experience program are available to ensure students are successful. Of course, life doesn't stop at the classroom door. That's why, in addition to a wide range of academic options, students are active in more than 100 campus organizations and clubs as well as 16 intercollegiate men's and women's sports. What's more, our students regularly participate in numerous volunteer, cultural and recreational opportunities throughout the Topeka community, including many right on our own campus. The Mulvane Art Gallery holds regular exhibits and events while the White Concert Hall and the Andrew J. and Georgia Neese Gray Theatre play host to numerous music and theatrical programs -- a number produced by our own students. If you're looking for additional facts and figures, this is the department that does our institutional research.